We came across the work of Ox and Otter Pottery on Instagram the other day and was instantly struck by her glazes. Beautiful drippy turquoises over oranges and all the other colours in between. Every piece is one of a kind. 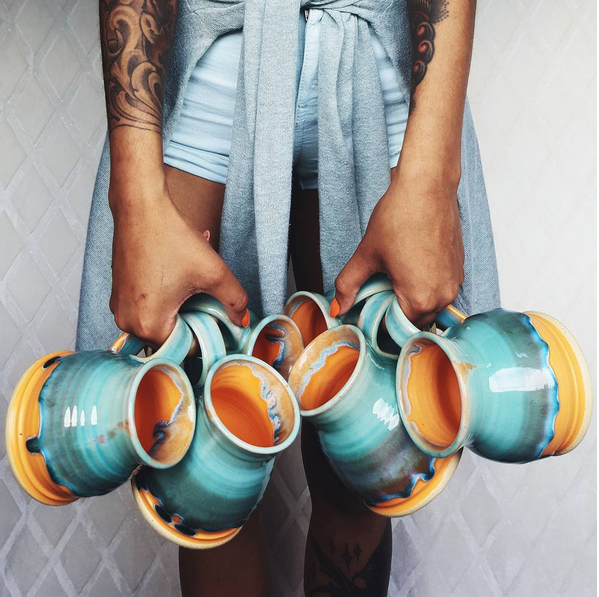 Ceramicist, Shiyana Mahendra can hardly keep up with the demand, and updates her shop once a month announcing the update on her Instagram account, which seems to sell out pretty quickly. Definitely one to watch! See more of her work below and follow her at @oxandotterpottery.